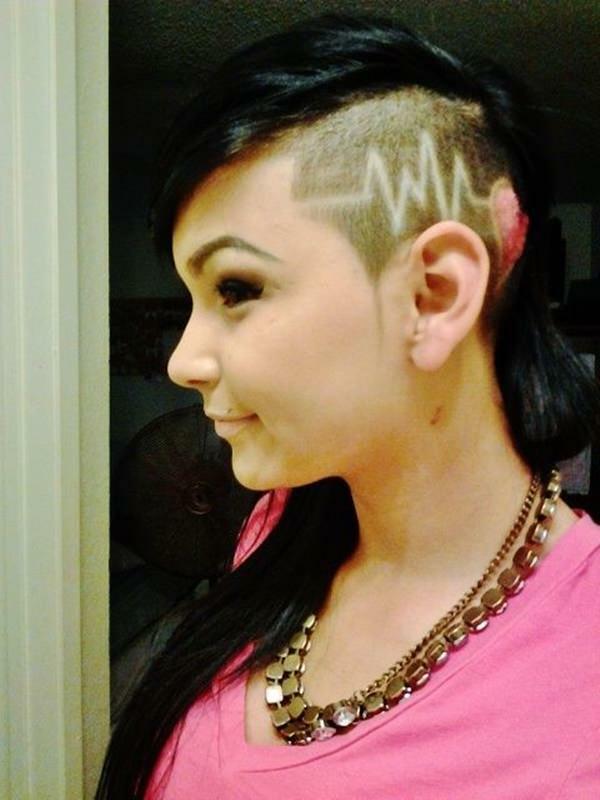 Shaved hairstyles are all the rage nowadays. Although the trend has been around for many years (remember Salt-n-Pepa? ), celebrities like Rihanna, Pink, and Rosario Dawson recently brought them to our attention and back into the spotlight. 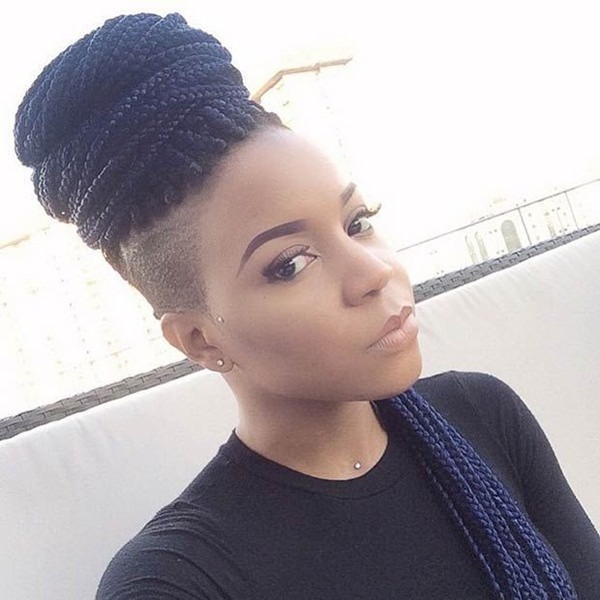 These hairstyles are now considered edgy and on fleek, and for good reason. 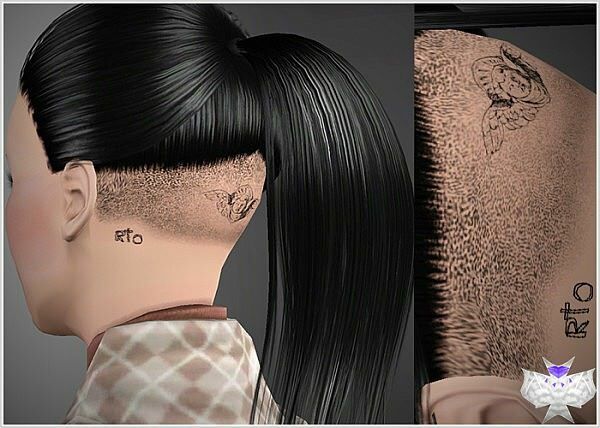 Rocking a shaved hairstyle isn’t easy, so women who pull it off certainly deserve a bit of praise and can be a true inspiration for all of us looking to add a flavor of punk to our look. What’s their secret? Here’s the inside scoop – all it takes is a lot of confidence and a skilled hairstylist. 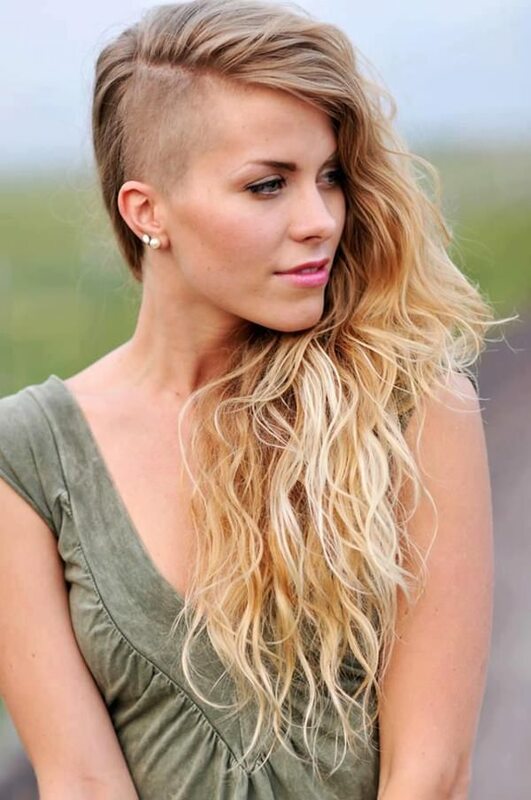 Let’s start with a harsh truth: shaved hairstyles for women can either be amazingly cool or an utter disaster. There’s no middle ground. This isn’t a look for the faint-hearted, and it definitely isn’t recommended for those of you who are fairly conservative when it comes to appearances. 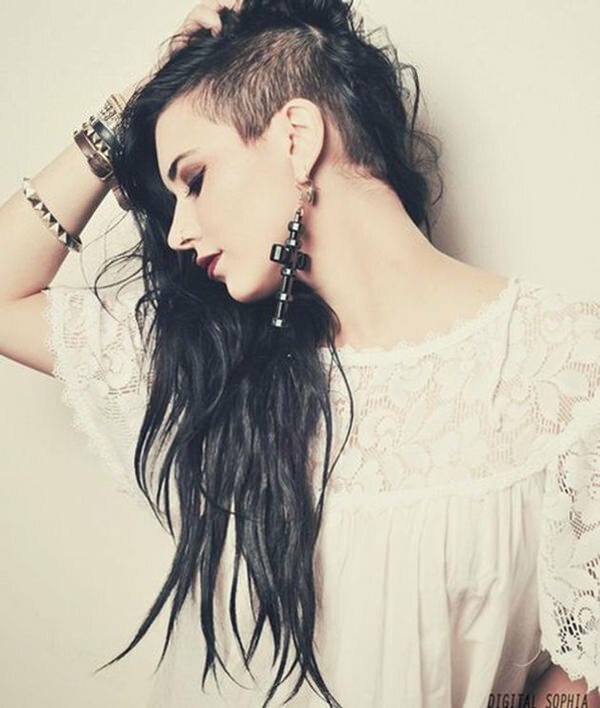 However, if you want to add a bit of an edge to your look, getting an undercut might just be the perfect option. 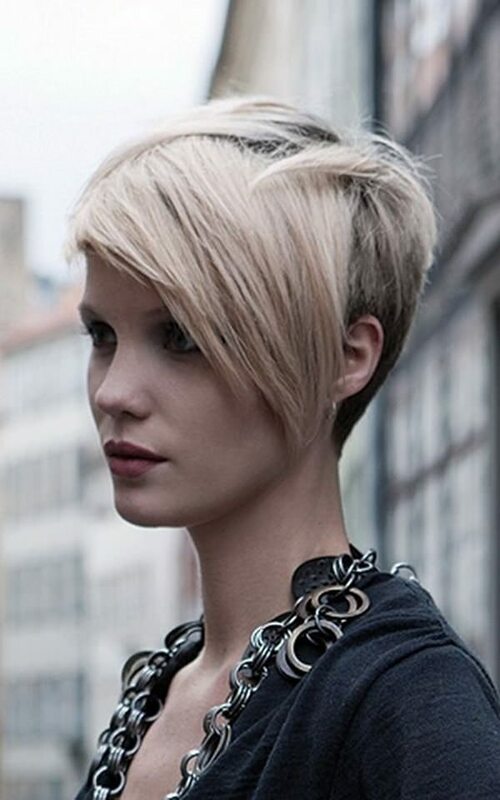 Although undercuts are mostly popular with men (think Bruno Mars), this punktastic hair trend is now making waves among women, especially since A-list celebs have embraced these types of hairstyles in recent years. 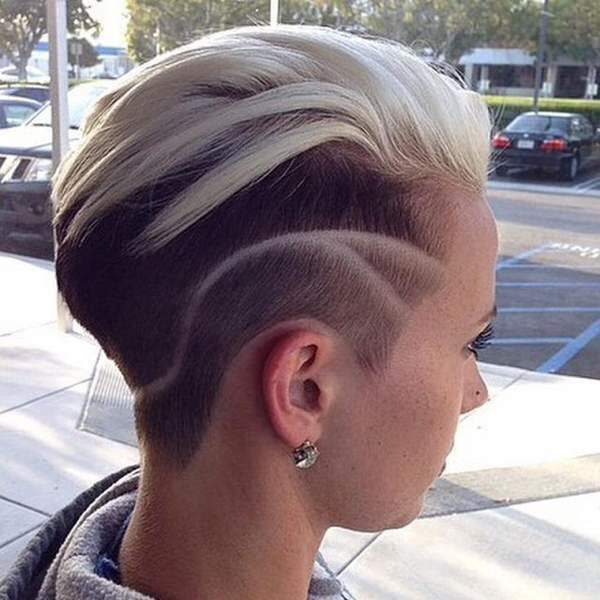 Miley Cyrus, America’s wild child, is known for her adventurous fashion choices, so seeing her with an undercut is no surprise. However, even more fashion-cautions celebrities are now seen dazzling us from the red carpet with short hair and shaved temples, proof that this type of hairstyle can instantly update a classic look. Malin Akerman for instance, renowned for her retro old Hollywood beauty aesthetic, is now sporting a funky undercut hairstyle. Scarlett Johansson looks gorgeous with her new, short hair. Jada Pinkett Smith stuns with an undercut section above her right ear. 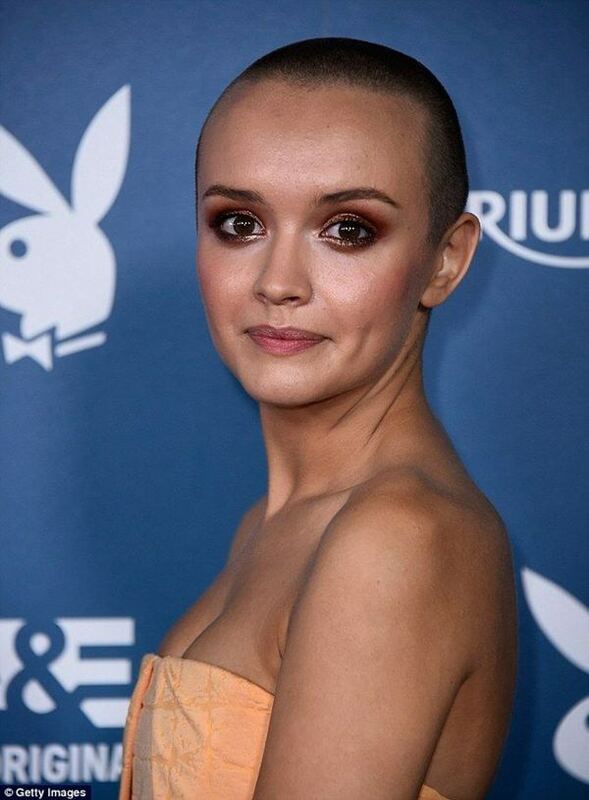 And Ruby Rose, the Australian model/actress/DJ who swept us off our feet with her recent role in the Netflix show Orange is the New Black, looks sensational with her short, punk hair, proving that femininity and long hair don’t always have to go hand in hand. 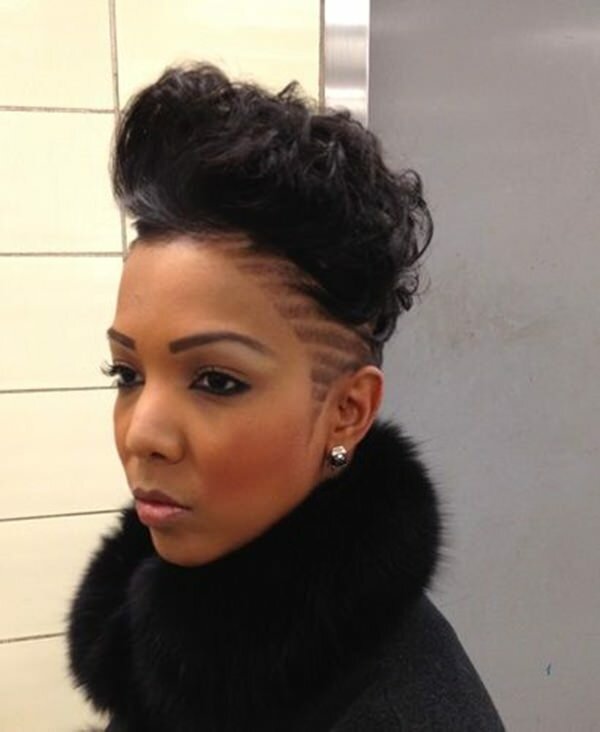 Before you head out to the salon, make sure you save a few photos on your phone with your favorite shaved hairstyles. Having a few references will help the stylist suggest something that will work with your hair texture and your daily routine – especially if you don’t have the time to spend half an hour in front of the mirror every morning. As we’ve said before, a certain hairstyle might not work with your face shape, so you need to be prepared for this. A good stylist will always be honest when it comes to telling it as it is, especially since they don’t want you to leave the salon disappointed. Accept their advice and go for something they are sure will enhance your facial features instead of making you look like a convict, and not in a good way (yikes!). 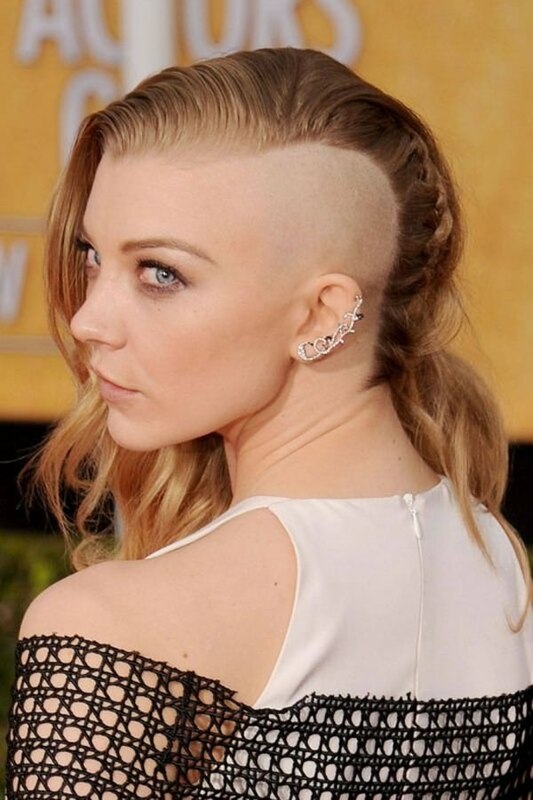 Shaving your head, even if we’re just talking about an undercut, is a huge step, so you might want to pace yourself. 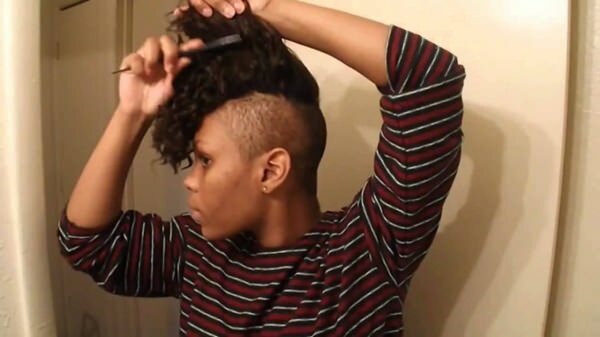 If you’ve been rocking long hair for most of your life, getting a full undercut will be an extreme change, so it’s OK to take baby steps to make sure you will be comfortable with the end result. 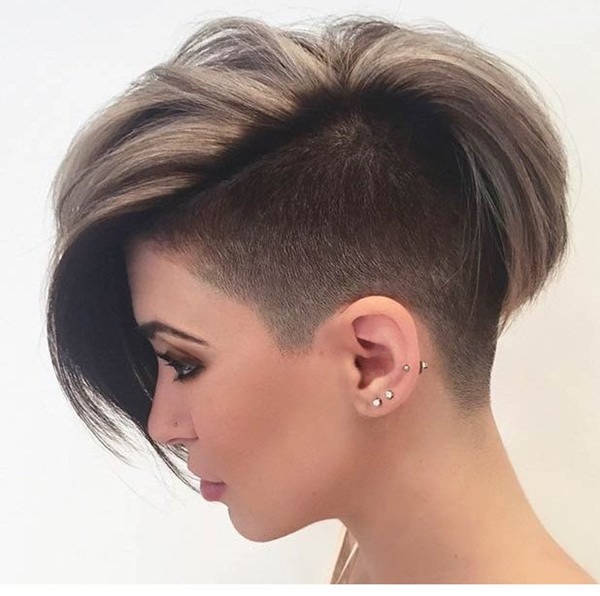 Maybe you can ask the hair stylist to only take out a disconnected section over your ears, or a narrow section at the nape area. Let a couple of weeks pass and see how it goes. If you’re happy with the result, book another appointment. A cut as sharp as this requires regular maintenance, so you will have to go by the salon every three or four weeks. Alternatively, if you think you’ve got what it takes, you can use a razor at home for upkeep. Also, growing your hair out again will be tricky – you may need to sacrifice the length of your hair so there isn’t such a big difference in length, or you may need to have layers cut into your haircut, to soften your look. Now that you’ve got all the info you need to make sure you’re ready for such a big change, here’s some hair inspiration! 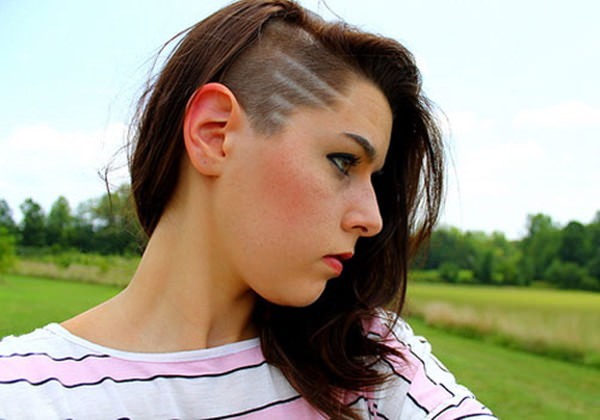 We’ve gathered 50 awesome shaved hairstyles from all around the Internet to help you make a bold and informed style choice. Each and every one of these women looks like a true badass, don’t you agree? Who says you can’t look feminine after shaving part of your head? With a dramatic makeup, oversized accessories, and the perfect lace shirt, you will turn heads at a moment’s notice. Part badass, part femme fatale, overall a pretty fantastic look. 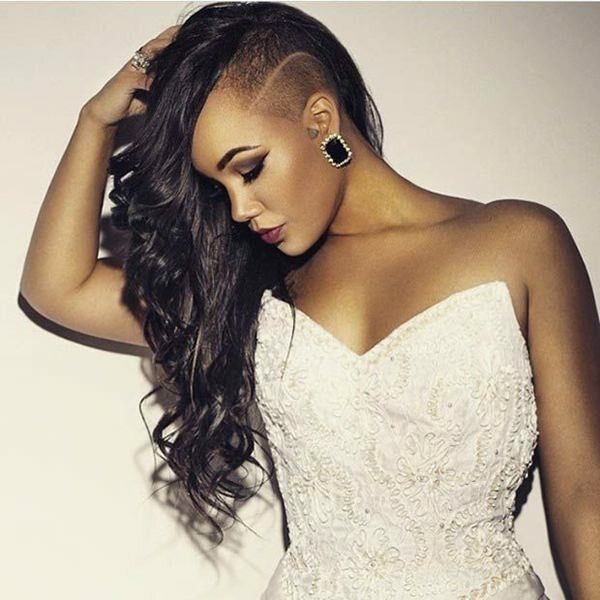 Speaking of femininity, a skilled stylist will be able to highlight your best features using the right hairstyle, so there’s no need to worry about looking too butch. She surely doesn’t, don’t you agree? Short hair, don’t care! 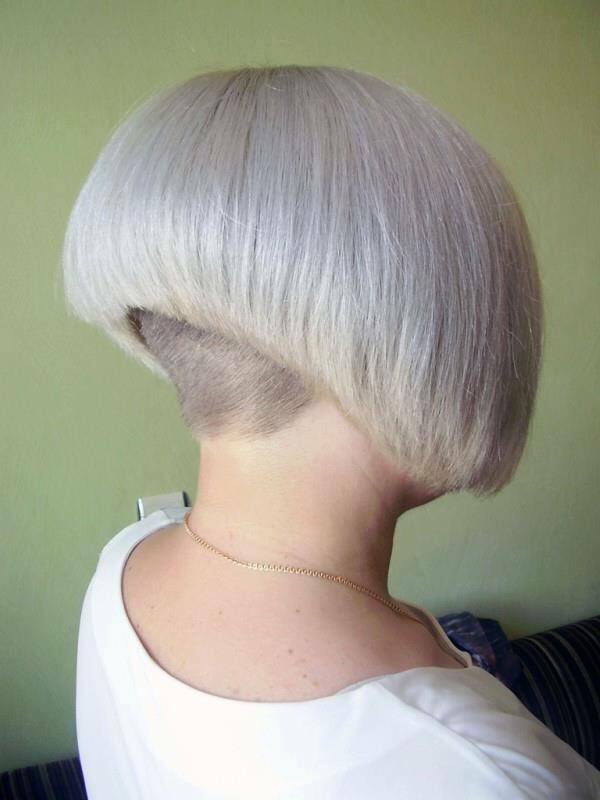 Here’s a stylish way to have a shaved patch with a short bob. Maintaining this style doesn’t take less than a few minutes in the morning, so you will be ready to conquer the world in no time. 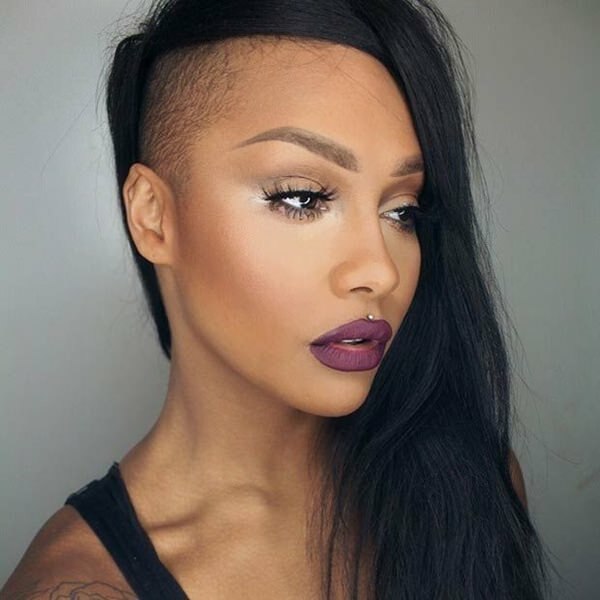 Pair your new shaved hairstyle with a bold lipstick and you will feel like you’re able to do anything. You win bonus points if your eyebrows look as perfect as hers. Then your beauty routine is seriously one to follow. Too much of something is bad enough, but she seems to have found the perfect balance between bold and elegant. 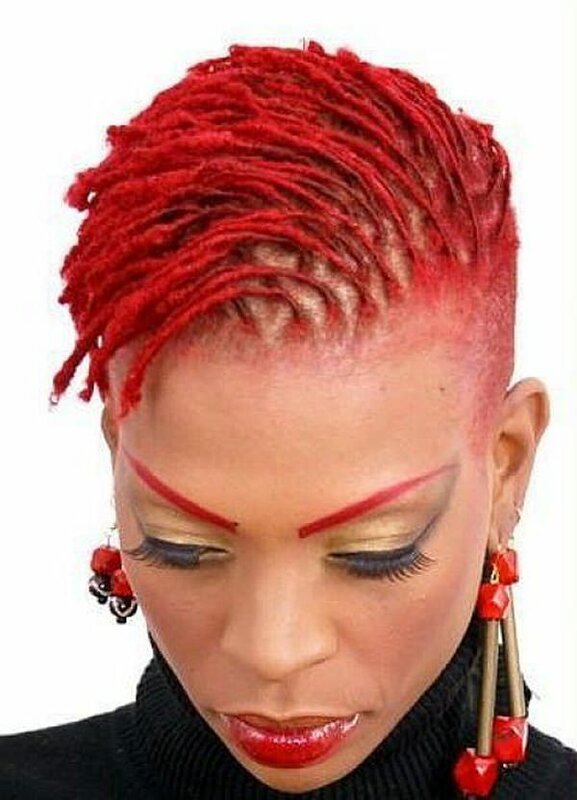 Plus, this actually proves that shaved hairstyles are wearable on any hair length and color. You just need to make sure that your desired do matches your face. 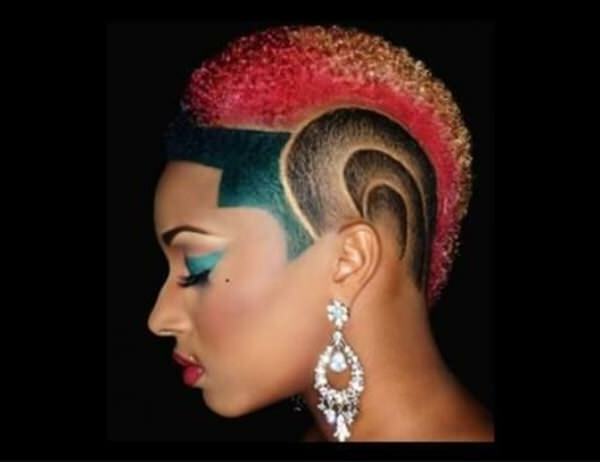 Make your crazy hair color stand out even more by shaving part of your hair and wearing your hairstyle with pride. Perfect for those hot summer days when you only go to the mall for the AC. This may not be a practical look for your day-to-day endeavors (it can be difficult to get things done when your hair is covering one-third of your face), but it’s the perfect choice for special occasions. You will certainly make an impression. Pink is the queen of awesome short hairstyles – she wears them like a pro. 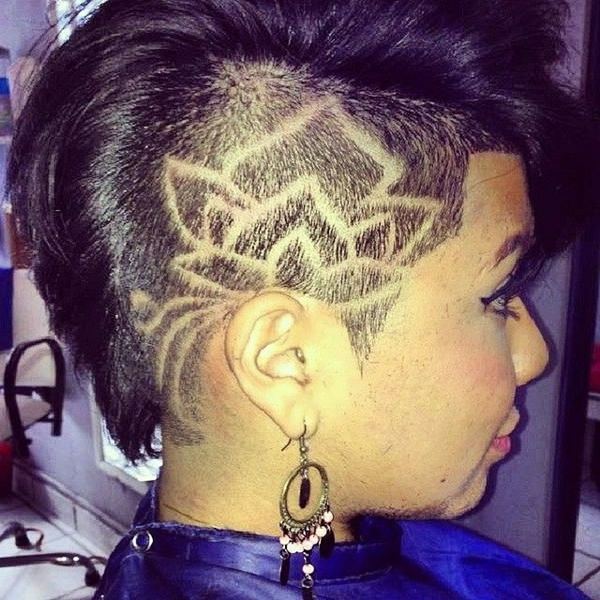 Follow her lead and don’t be afraid to opt for a shorter do if you think that will help you release your inner badass. 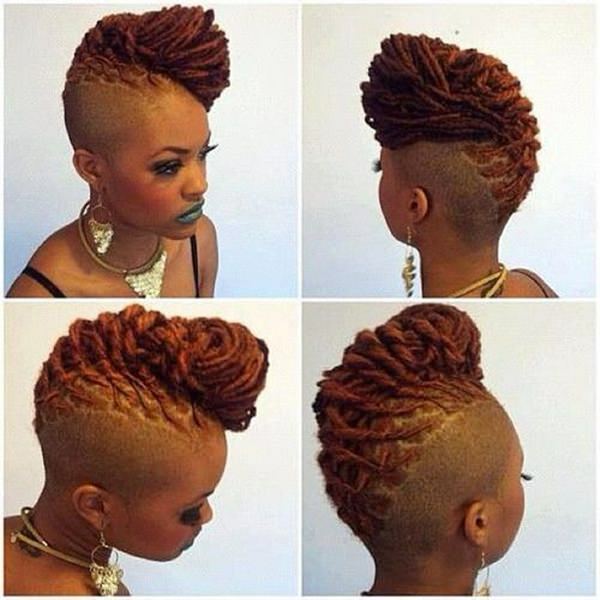 Styling your hair into a mohawk – yay or nay? We vote yay, because this girl is truly mesmerizing. If you really want to make a statement, this chic hairstyle is the way to go. Blondes may or may not have more fun, but they definitely turn more heads when they wear their hair like this. This type of hairstyle will need a lot of maintenance though, so make sure you have the energy for that before making such a drastic change. 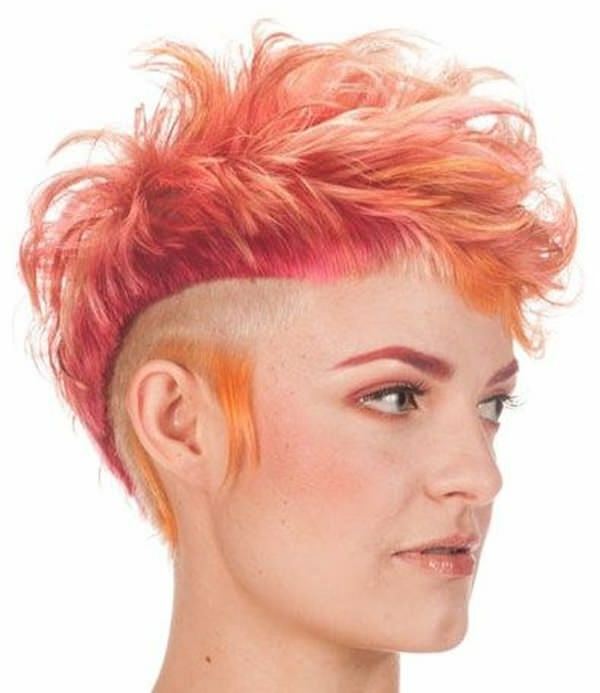 If getting an undercut isn’t enough, you can always kick it up a notch and choose a funky color pattern for the freshly shaved hairdo. That’s surely going to get you some attention from those around. 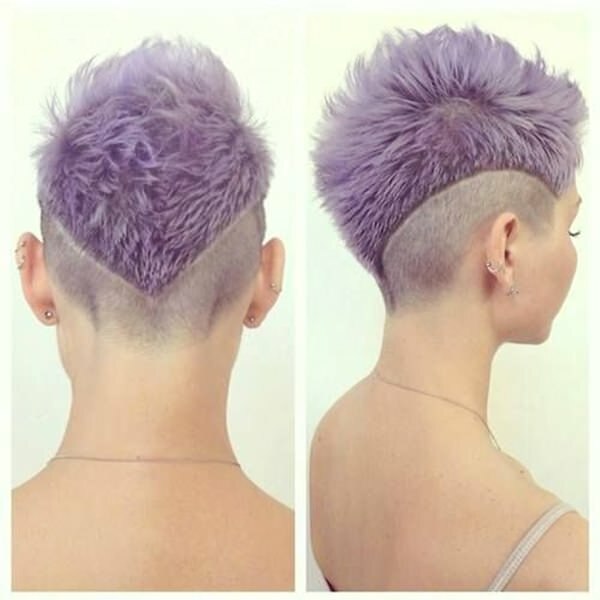 We love purple, and this hairstyle is so awesome that we can’t help but be a bit jealous. Just think about how fast she can wash and dry her hair! 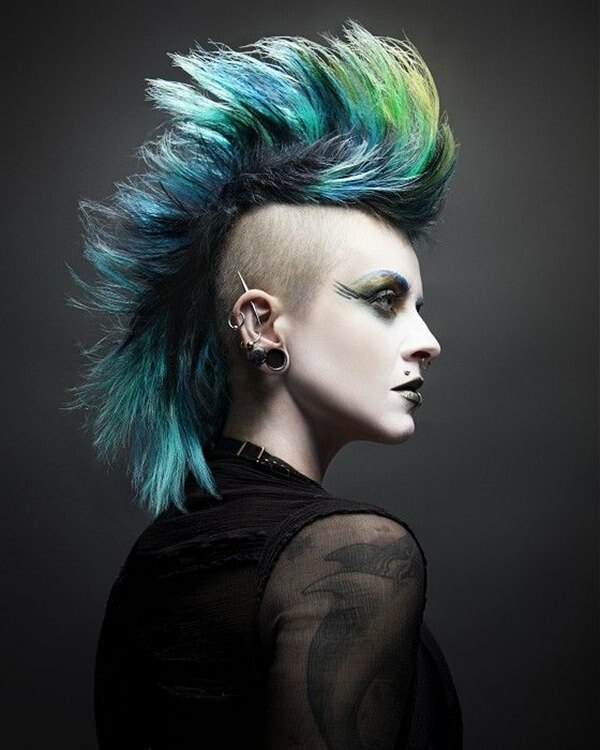 Punk hairstyles are usually amazing, and this one isn’t the exception. She must have had a truly masterful stylist. That color is to die for. How would we describe this hairdo in only three words? Simple, chic, edgy. If you’re not ready yet for a more drastic change, this hairstyle might help you figure out if undercuts are really for you. Speaking of punk, the blonde/pink combination never gets old. Especially when it’s styled so perfectly. 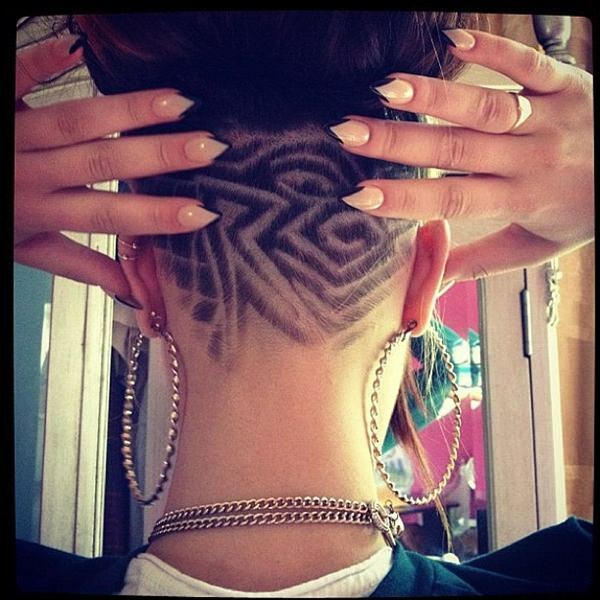 Rihanna has a knack for predicting trends, so there’s no wonder she rocked undercuts before they hit the mainstream. If you’re looking for a bold style icon to provide some fashion and beauty inspiration, she’s it. A bun is the ideal choice for those dreaded bad-hair days. And it looks even better when it reveals a crafty undercut. Less permanent than a tattoo, but just as badass. 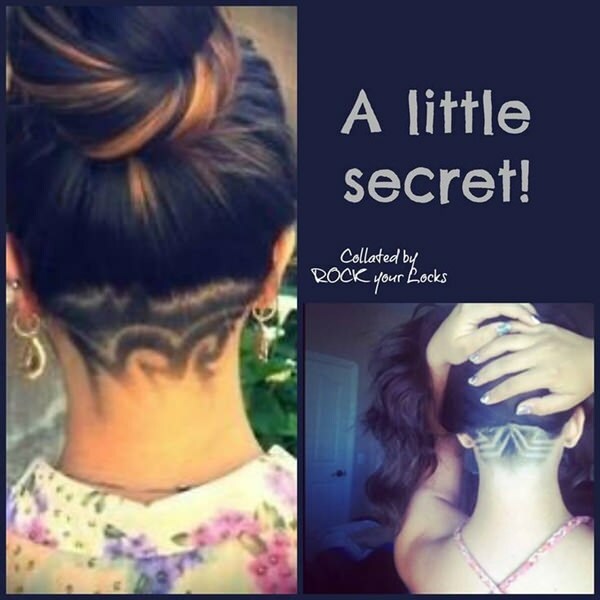 A usually hidden tattoo will make waves when revealed with the help of this interesting and edgy hairstyle. Plus, if you somehow get bored of your tattoo, you can always let your hair grow. No one will ever know. Styling isn’t so hard when you have less hair to work with. However, don’t shave your head just because you’re tired of combing your hair. Make sure you will truly enjoy the end result first, otherwise you risk spending months beating yourself up over a rash decision. As we’ve said before, patterns are cool. They’re even cooler when you add a pair of gorgeous oversized earrings into the mix. Still not convinced? Here’s some additional proof. It can be your little secret, but we strongly advise you to share it with the world via a cute bun. 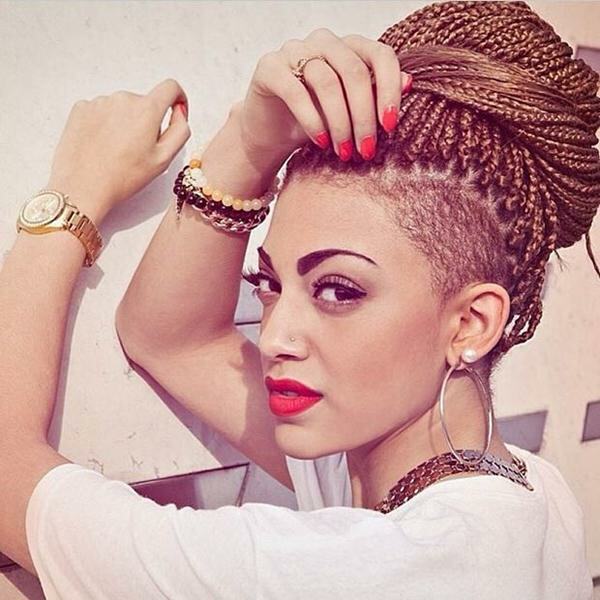 This type of hairstyle is worth showcasing. Short, shorter, the shortest! And still extremely feminine, especially if paired with big earrings, a bold lip, and some trendy sunglasses. If you would like your shaved pattern to truly turn heads, why not opt for a delicate flower? Make sure your stylist has some experience in this department, to make sure you will be satisfied with the result. Allowing your friend to shave part of your head after three tequila shots is never a good idea. 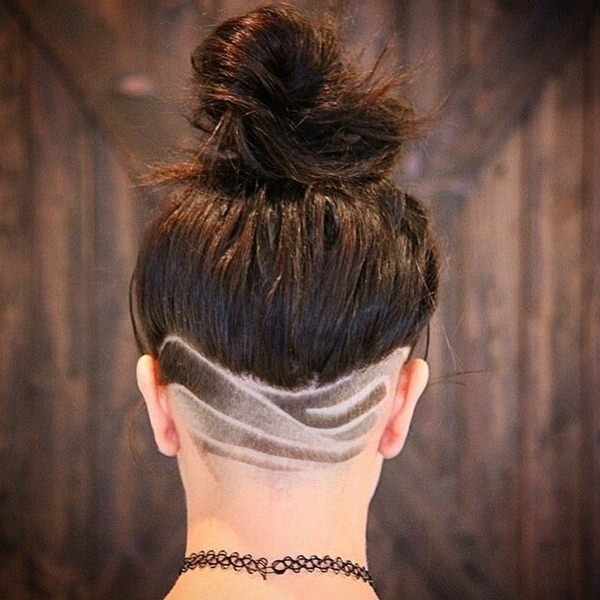 Long hair + undercut = endless styling opportunities. 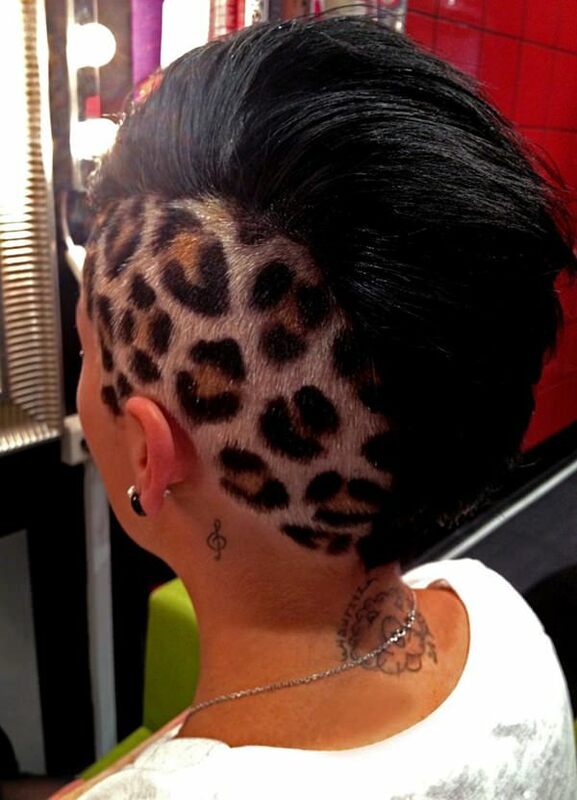 Just take a look at this gorgeous hairstyle. It’s one for the style books. Patterns galore. If you haven’t noticed by now, we’re pretty obsessed with them. And for good reason. You need a lot of confidence to rock a similar hairdo, but if it represents you, there’s no reason not to go for it. She can surely pull it off, and there’s a good chance you will too. 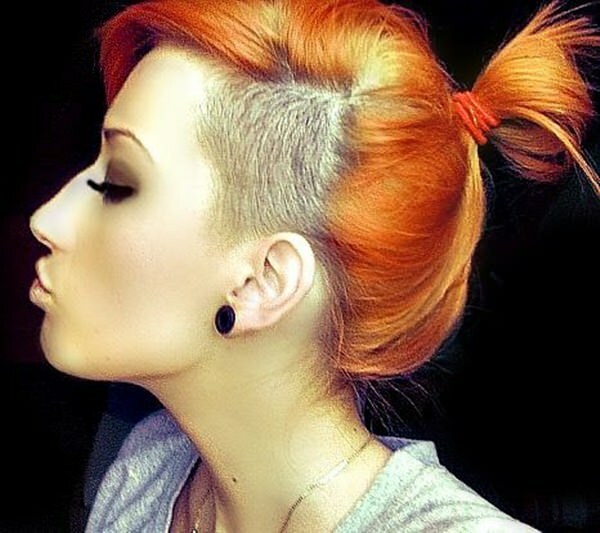 You can totally look professional with an undercut and short hair. Case and point. Just ensure that your office wardrobe compliments your new hairdo and isn’t too out there. Too much boldness and your boss might start to frown. 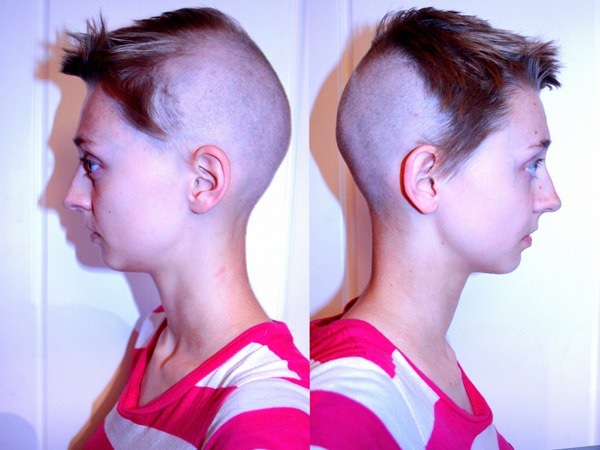 Deciding to completely shave your head is bold, and it can be extremely empowering. If that’s what you want, here’s proof that you can definitely look amazing. Plus, experimenting with wigs is anything but boring. Short hair looks awesome when you add a statement necklace and perfectly applied makeup into the mix. Not to worry though – it looks awesome even on #nomakeup days, especially if it highlights your best features and allows you to feel liberated and strong. Do you have to attend a fancy cocktail party or a wedding? This hairdo is the perfect choice. And the color only contributes to the awe factor. 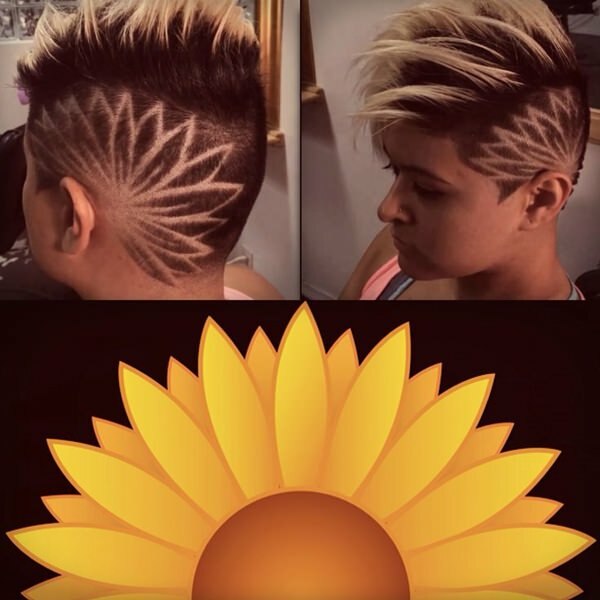 We’re big sunflower fans, so we totally approve of this hairstyle. This is a far simpler pattern, but it will still help you stand out from the crowd. And the combination of blonde and brown hair looks particularly gorgeous with this type of hairdo. 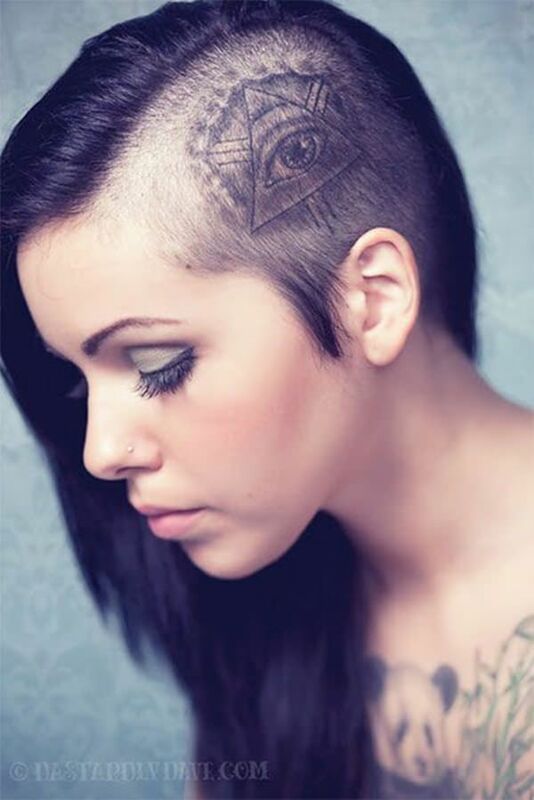 Another great example of how well a tattoo can work on a partially shaved head. We’re fascinated. Natalie Dormer stole our hearts in Game of Thrones and Mockingjay partially due to her talent, and partially due to her great hair. Seriously, the girl is an icon. 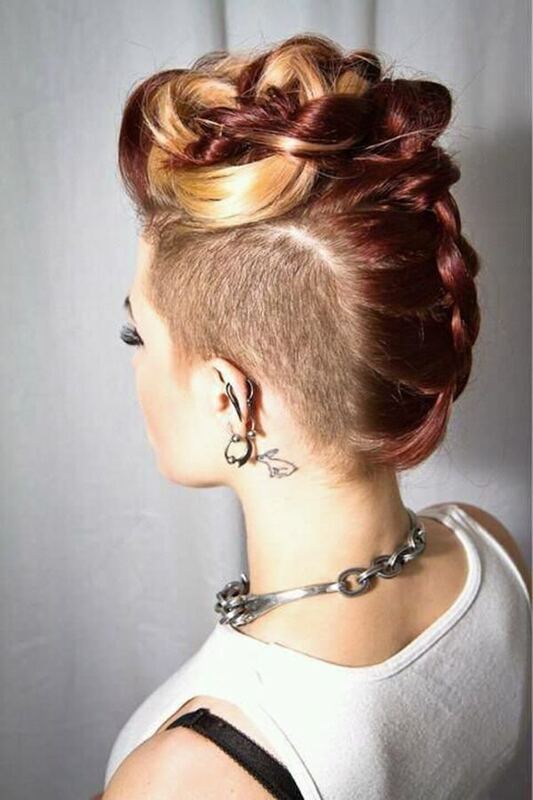 Another great example of how much you can do with long hair and an undercut. All you need is a bit of imagination. An additional glimpse of Dormer’s awesomeness. We couldn’t resist. Messy updo? Check. Lovely shaved pattern? Check. We’re not that fond of the necklace, but ’90s nostalgia is very in right now, so we’re not going to complain. 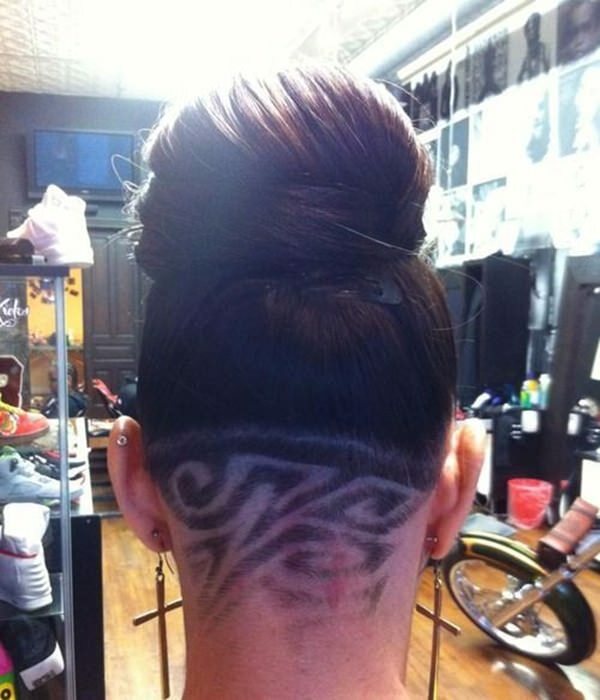 Now that’s what we call a mohawk! The girl’s got style. And balls. The hair color reminds us of Kelly Osbourne a bit, but the styling is totally original. We like the braid in particular – so keep it in mind for any future events you may have coming up. Another great styling idea for when you have to dress to impress. Style to impress as well – it has always been our mantra. Simple, elegant, easy to maintain. What more could you wish for? Her little black dress wins her bonus points as well, while the earrings are plain lovely. And those eyelashes stole our hearts from the minute we lay eyes on them (wink!). The perfect bun for when you have a lot of running around to do. This hairdo allows you to move freely without worrying about your hair, and looks extremely stylish. Getting the perfect bun may take some effort, but it’s surely worth it. 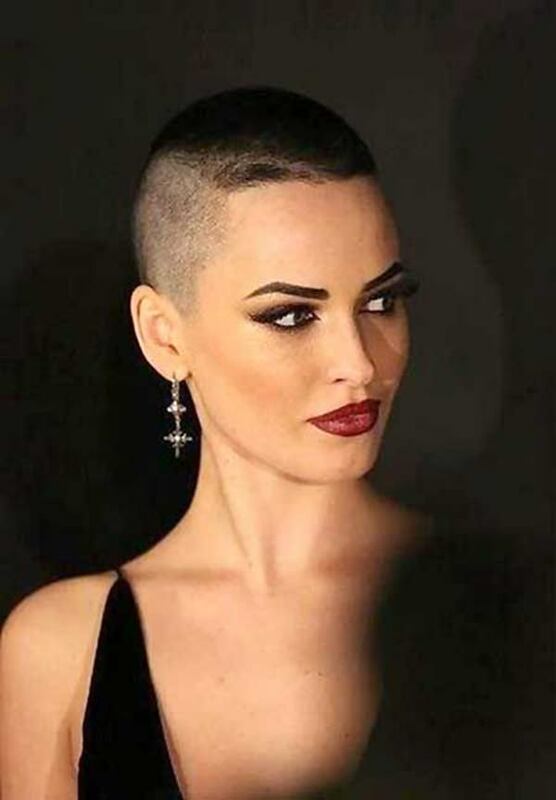 Megan Fox would look gorgeous with a shaved head, right? Of course, she would probably look gorgeous in a sumo suit, but that’s not very relevant here. If you’re not sure about how you would look without any hair, ask a Photoshop-skilled buddy to give you a preview. 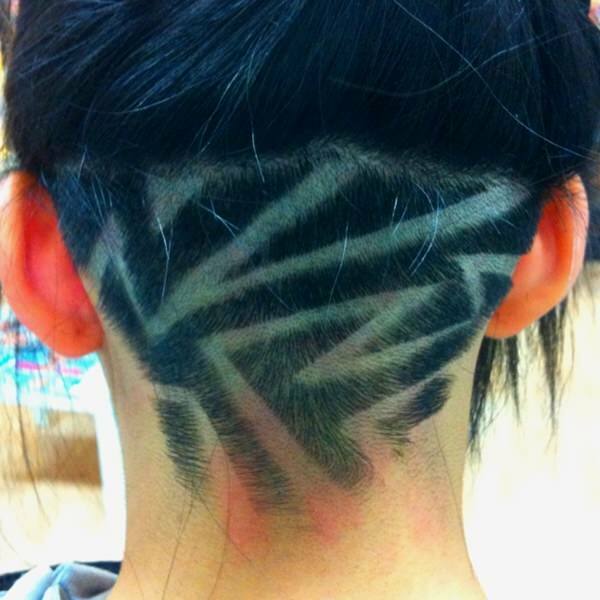 Another truly awesome – and inspiring – idea for a shaved pattern. As we said before, there’s a lot you can do with just a dash of creativity. Short hair is trendy on the red carpet as well! 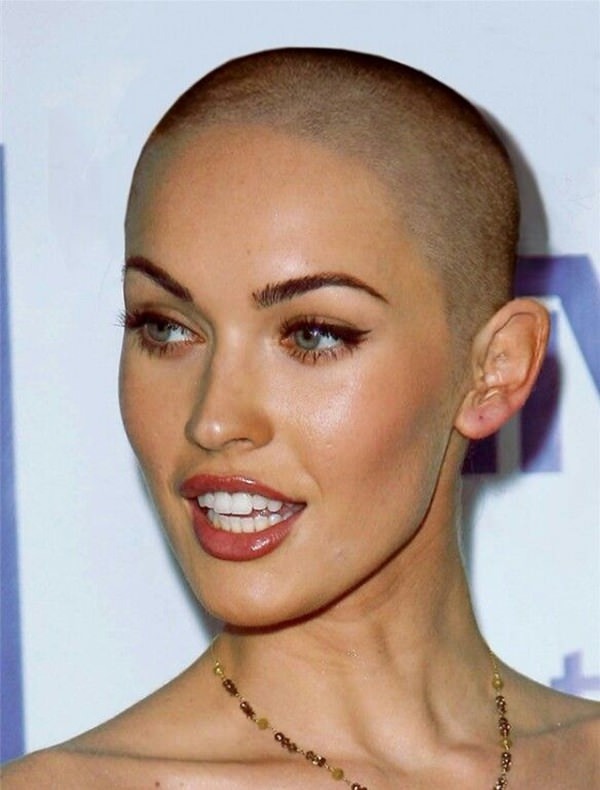 There are plenty of celebs who decided to completely shave their heads – Natalie Portman, Amber Rose, Charlize Theron, to only name a few. Do they look any less glam? We didn’t think so. We didn’t initially like this look, but it grew on us. Plus, red is the universal color for passion, so you can’t go wrong with that. Yet another lovely pattern for your inspiration board. You did take notes, right? Subtle, but oh so effective! 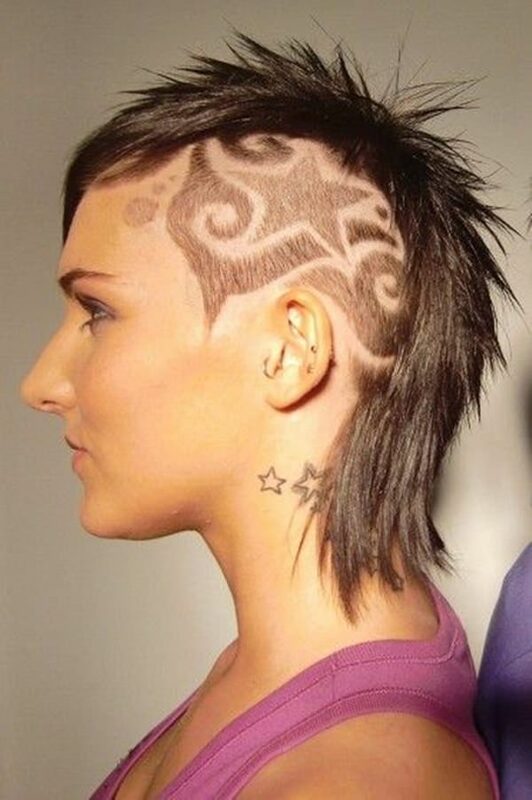 And another perfect choice for when you’re still not sure about getting an undercut. We love colors. And we love this. Classy, elegant, chic. Plus, beach waves are always in, regardless of what fashion gurus would want you to believe. As we like to say, shake up your hair and then shake up your life! Hopefully, the hairstyles above gave you an idea about how you would like your future hairdo to look like, so save your favorite looks to your phone and book an appointment with your stylist. If you’re looking for a bold new hairstyle, this may just be it. And don’t forget to get ready for all the compliments that will follow.